Men love their cars more than anything. For women, after children, hair comes next. Similar to the effort put in career, the same time and money goes into their hair. You for one cannot let a week run out without treating and washing your hair. Many have associated women with the kind of hair they maintain. Women tend to guard their hair so much even more than their health. 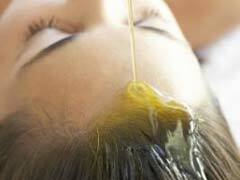 There are expensive food oil products in the market that ladies go for to keep their hair shining. But what happens when one day, you wake up scratching your scalp endlessly? The scratching might be due to dandruffs or a more serious skin disorder. Psoriasis is a skin disorder that occurs due to uncontrolled growth of new skin cells. Someone with a proper working immune system is not likely to have psoriasis. This is because the white blood cells are equally produced and help to control the rate at which skins cells grow. That is why it takes 4 weeks and not days for skin to shed off old cells and new ones to be replaced. In the case of psoriasis, new cells are rapidly developed and do not give time for the old ones to be flaked off. The next thing you notice are bumps and patches on your skin- hands, legs, elbows, underneath the breasts and scalp. The next thing to think about is scalp psoriasis if you experience an itchy feeling in your hair. Today, you will learn how to take control of this disorder, smile again and bring your hair back to its good shape. 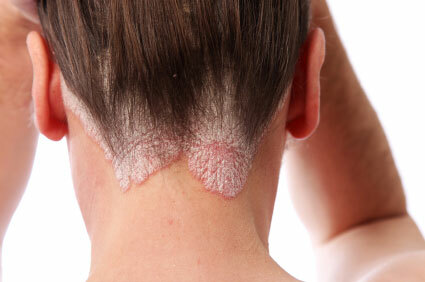 Scalp psoriasis is a skin disorder that affects mostly the scalp area. It is common in people whose immune system does not work properly. New skin cells around the scalp area are rapidly produced. They tend to accumulate on the top layer of the skin resulting to patches and bumps on the scalp. Out of the people suffering from psoriasis, half of them tend to have it on their scalp. Once patches (plaques) form on the scalp, you will see scales developing, the affected area turns into a red color and an itchy feeling arises. If you have been scratching your head for some time now, you should think about seeing your doctor. Scalp psoriasis might be gradually developing which means your hair will no longer shine as it used to. If left uncared for, scalp psoriasis could result to a huge damage of your hair. You will begin to lose your hair and this is not because of dandruffs. And just so you know, not only women are at a risk of having scalp psoriasis. Depending on the genes, men too have this skin disorder affecting their scalp. If you are feeling embarrassed about this disorder, you have no reason to from today. Scalp psoriasis can be treated and controlled and within no time, you will have your black shiny hair back. It is very easy for one to mistake scalp psoriasis to be dandruff. But lucky enough, today you are going to be able to differentiate scalp psoriasis from a dandruff that can be easily controlled. Scalp psoriasis manifests itself differently. This disorder extends to other areas after invading the scalp. Once in the scalp, it begins to creep to the forehead, back of your ear, nose, and the back among other areas. If you have noticed a patch on your forehead, chances are you have scalp psoriasis and it is spreading. Dandruffs are only found in the scalp area and do not extend to the nose and so on. Another thing to keep in mind is scalp psoriasis requires special and immediate attention. On your scalp, you will notice the red color plaque with flakes developing silvery scales. The flakes are now the dandruffs that get attached to the shaft root of your hair. You will have to admit that this time, it will be difficult to comb your hair the way you do. But once you embark on treatment, the cumbersome and uncomfortable life ends. The plaques form a crust on the scalp that can split or crack and when removed, you are most likely to bleed. As said, if left unattended to, the plaques fast spread to other areas of the body. After that, an itchy feeling and soreness creeps in. Scalp psoriasis is not something to live with; you can easily take action by getting the right treatment. There is nothing embarrassing about having scalp psoriasis. It is a disorder you can easily take down with proper medications. Even better, scalp psoriasis does not hinder you from doing your daily activities or missing work. You can still take your medication and live like your friends. With a swimming cap to protect your head, you can still swim. Psoriasis occurs due to an immune system that is weak – one that is not working properly. For instance, a weak immune system will not be able to fight diseases, germs and infections. However, with a strong immune system, you are not likely to have infections or easily get sick. A strong immune system is due to healthy dieting and working out. What if it is caused by family genes? Experts associate psoriasis disease to specific genes. Scalp psoriasis is caused by a faulty immune system. The body tends to produce white blood cells but only this time that it has components of B-cells and T-cells. B-cells tend to produce antibodies that reduce the lifespan of normal cells while T-cells enhance production of cytokine proteins that facilitates rapid production of new skin cells. With no control on this mechanism, new cells are produced; accumulate on the scalp leading to plaques. After some time, the plaques change the color of your skin since the rate at which blood is circulating has increased. The new skin cells have to be nourished. New skin cells do not allow the old cells to shed off first. Normally, the old cells have 4 weeks until they shed off and are replaced by new ones. The feeling of having skin cells pile up on your scalp is not one to live with. You begin to scratch your head but only worsen things on your scalp. The easiest and simplest way to approach scalp psoriasis is by taking effective and safe medications. • There are treatments to scalp psoriasis regardless of it being mild or sever. For mild, doctors advice patients to use coal tar products- creams, shampoos, soaps, special ointments and gels. Medicated Shampoos work magic, apply on the affected area, massage into the scalp and rinse with conditioner. They help to reduce the itchy feeling, inflammation and itching. • Other working products include salicylic acid that makes peeling off the scales easier as it softens it. You could also go for intralesional steroid injections done by professional doctors. You will be injected directly into the scalp plaques using a small needle. • Scientists and experts have developed the best creams that take away this stress. Anthralin is a cream you could use for treating psoriasis of the scalp. Apply anthralin for about 10-30 minutes. This should be only once in a day. Its continued use brings amazing results. • Calcipotriene (Dovonex) contains high vitamin D. Apply this cream overnight, cover your head with a cap, then rinse out in the morning. • Oral retinoid and ultraviolet light also helps in treating severe psoriasis of the scalp. • Tazarotene contains Vitamin A. Wash your hair and scalp, let it dry, then apply tazarotene cream and let it dry. Wash it out the next morning. • Other best natural home remedies include olive oil, coconut oil and aloe Vera which contains strong healing and antibacterial properties. There is actually a way you can manage scalp psoriasis. First off, you need to begin treating it and never miss to apply the cream. There are even cheaper and working treatments you could use when you are at home. This means that you do not have to go out which you fear doing in the first place. The most important thing you can do is take the first healing process. In your entire healing process, try not to scratch the affected scalp area, massage tenderly, shampoo with care, remove scale carefully and most importantly, do not stress up. How about the pain that comes with this disorder? First, you do not have to live with this pain due to the readily available medications. If you act first, you can get rid of the itchy and soreness feeling that occurs on the scalp due to plaque formation. With treatments at hand, there is nothing to keep you from managing scalp psoriasis. You still get to maintain your beautiful dark hair while undergoing medication. So you have just got these many tips you can stick to and keep yourself from being affected with psoriasis disorder. The next time you notice a bump on your scalp, be sure to take the appropriate steps.